But beyond that most of what we regard as historical truth is defined by the agreement of historians. There are plenty of things we think we know about which can be contradicted when new evidence is discovered. Only this morning I heard on the radio that the site of the Battle of Hastings is now in dispute. Closer to my own interests, there is one bit of history that experts have never been able to agree upon. Until the amateur archaeologist Heinrich Schliemann began excavating the supposed site of the city of Troy people believed that the story of the Trojan War was just a legend. Schliemann proved that not only had Troy existed, but it had been destroyed and rebuilt many times. He then moved on to excavate Mycenae, the city of Agamemnon, leader of the Greeks, and found evidence of a rich and sophisticated society, where the palaces were decorated with beautiful frescoes and the dead were buried with their faces covered by masks of beaten gold. Yet for three thousand years, the only indication that Mycenae had ever existed was the Lion Gate which was still visible above the ruins. What happened to destroy Mycenae and its associated cities so completely that they were consigned to the realm of myth? The first clues came when Carl Blegen from the university of Cincinnati began to excavate the city of Pylos on the west coast of the Peloponnese. Pylos was the fabled city of King Nestor, who plays a large role in the Iliad. Sure enough, Blegen uncovered the remains of a palace and surrounding buildings situated on top of the hill of Epano Englianos. It was a sumptuous building, with a wide courtyard leading to a colonnaded portico that gave entrance to the megaron, the main hall and throne room of Nestor and his descendants. In the centre of the room was a circular ceremonial hearth and the floor, walls and ceiling were decorated with coloured patterns and beautiful frescoes depicting animals and sea creatures and in one place a seated figure playing a lyre. It had obviously been the centre of a rich and cultivated society, but the evidence showed that it had been destroyed in a great conflagration, some two or three generations after Nestor's time. Among the ruins were many clay tablets incised in an unknown script. What surprised the archaeologists was that similar tablets had been discovered in the ruins of Knossos on Crete. It had been assumed that there was no connection between the Minoans of Crete and the Achaeans of Mycenae and Pylos. In Knossos the tablets were written in two different scripts at different periods, but no one was able to read them. They were known simply as Linear A and Linear B. The Pylos tablets were written in Linear B. The question was, in what language? Had the Minoans come to Pylos? Or had the Achaeans gone to Crete? It was not until two Englishmen, Michael Ventris and John Chadwick, cracked the code that an answer emerged. To everyone's surprise, the language proved to be an early form of Greek. Most of the tablets are simply bureaucratic records of taxes received, in the form of wheat or olive oil or wine, and items given out, like seed corn. But in the highest and therefore most recent layer they tell a very different story. They carry orders for a census to be made of all the chariots in the kingdom and those that required it to be repaired; for ships to assemble at a point off the coast; for watchers to be sent north to towns along the coast; even for the bronze votive vessels from the temples to be requisitioned and melted down – presumably to be made into weapons. It is clear that Pylos was preparing for an invasion. The layer immediately above these tablets shows evidence of a devastating fire. Among the ruins are crushed jars which once contained olive oil, which presumably helped to fuel the conflagration, together with fragments of ivory and delicately painted cups and vases. Clearly, when the attack came the Pylians were unable to withstand it. As soon as Linear B was decoded a great dispute began among scholars and archaeologists. Some maintained that the Minoans must have been Greeks after all. Others that the Mycenean Greeks must have conquered Knossos and imposed their language. Others again suggested that it was the Minoans who had come to Greece and were the founders of the Mycenean civilisation. To my knowledge the argument has never been settled. As far as I am concerned, the answer is unimportant. What excited me about the tablets was the evidence they provided that Pylos was preparing for an invasion – an invasion which finally destroyed the city. How that happened is the basis for my novel THE LAST HERO. OK, let’s get one thing out of the way straight off – the one thing everyone wants to hear about. I was once embraced by 007! They met in Warsaw, almost by accident; quickly fell in love, and were married. Klimek Mielczarek was raised in poverty and learned at an early age how to survive using his good looks, charm, and ready wit. Teresa Zbijewska was an intelligent and beautiful young woman born into an aristocratic family, and raised on a large estate, surrounded by the finer things in life. Both possessed a secret that they could not, and dare not, tell the other. Both were members of the Polish Home Resistance Army. 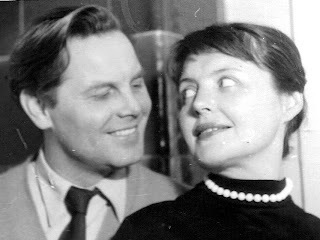 In ordinary times it is doubtful that Klimek and Teresa would ever have met, much less married. But these were not ordinary times. The German occupation of Poland had turned the lives of all Poles upside down, regardless of class or wealth.On August 1, 1944, the Polish resistance Home Army launched a sudden and well-coordinated attack against the German occupiers of Warsaw. 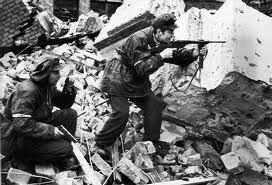 Taken by surprise, the Germans initially fell back; and at one point, the Home Army gained control of most of Central Warsaw. Success of this audacious campaign was dependent on two important premises: 1) That the Allied Nations would support their efforts with air and ground forces; and 2) That the Soviet Army, which was rapidly approaching the outskirts of Warsaw, would join the fight, thus overwhelming the defending German forces. But unknown to the London-based Polish government in exile, Poland’s future had already been decided by Roosevelt, Churchill, and Stalin at Yalta; thus, neither occurred, and the Poles were left to fight alone. Out manned and outgunned, the Home Army fought on for 63 days with little or no outside help before surrendering to the German forces. directorin Polish theater. Together, they raised two beautiful children, one of whom is my wife Marzenna. Every August 1 I take a few moments to honor Klimek and Teresa; two veterans from another country and another time. I am proud of them and am honored to have been part of their family when they were alive. Am I a conspirator, a co-conspirator, a relentless exposer of historical lies, or God help us all; a creator of my own lies, which presumably could eventually become my very own version of history? The answer to that question is implied in the second part of the site title, i.e. fiction writers like me are often stuck between “historical facts and historical fiction.” How does one navigate through those two shoals while putting credible words in the mouths of fictional characters? The answer is, very carefully after hours of research! If “history is the agreed upon lie” as the title of this site suggests, how does a fiction writer like me fit in the grand scheme of all this? “Skip never forgot his experience at Camp Desert Rock. Years later, he ran into a Marine at the officers club who had participated in one of the tests and the two of them compared notes about what they had experienced. Skip let that comment pass, based on his longstanding belief that arguing with a Marine who has been drinking, was not a smart thing to do. at us, which is going click, click, click. Well, you guys shouldn’t be here, he replied. Are you crazy? Commission. They were the guys who were supposed to be running the tests. “Or like you guys were expendable, so it didn’t matter,” Skip offered. Was there a young Marine who uttered the words above? Indeed there was, and I found his statement quite by accident during my research. Unfortunately, the link has disappeared into that mega-terabyte cyber graveyard where such information ultimately reposes. But here's the good news: I just recently found a historical site that contains all the information I wrote about atomic testing, plus much more. You can check the accounts at HistoryMatters.gmu.edu It is an excellent site and I plan to revisit it often. "Clowns to the left of me, Jokers to the right, Here I am, stuck in the middle with .... And I'm wondering what it is I should do!" (Okay I have a sense of humor, so sue me). It was chilly that morning at Yucca Flat, Nevada. As I stood on the platform with the others, I stomped my feet to keep warm and gazed anxiously at the seven hundred foot tower before me. Suspended below was a nuclear device capable of a detonation more than two times the size of the bomb dropped on Nagasaki. The tower was eight miles away, but it looked much closer. The device was set to go off in ten minutes. When the final countdown began, I placed my hands over my eyes and stood facing it as instructed. What happened next, was a flash of light so bright and blinding that the bones of my hands were visible as if by X-ray. I uncovered my eyes and saw a dark, dirty mushroom cloud ascending skyward, followed by a shock wave rolling across the desert, passing through me with a resounding thump. When it was over, they collected the dosimeter I was wearing, brushed me off with brooms to remove any radioactive fallout that might have clung to my fatigues, and sent me back to my squadron. To this day, I have no idea why I was sent to witness that atomic test. But back then, it didn’t matter. I was a first lieutenant in the United States Air Force and that’s what I was ordered to do. Besides, I was certain the government knew what it was doing, and would never put me in harm’s way. I was wrong, of course; but that’s the way it was in 1957. Twenty years after the test, I received a letter from the Center of Disease Control in Atlanta. “Our records show that in 1957 you observed a highly classified nuclear test code named, Smokey,” it began. “It seems in that particular test, an exceptionally large amount of radiation had been released into the air, and in later years, a significant number of deaths from leukemia had occurred among the participants.” After medical tests proved that I did not have leukemia, I put the letter away and went on with my life. I was one of the lucky ones. Others were not so lucky. Between 1946 and 1962, over 400,000 military personnel were put in harm’s way, operating in some cases near ground zero, minutes after detonation—without any special protective clothing. The government told them the radiation would be relatively harmless. And while guinea pigs used in the tests were carefully washed and observed for weeks, if not months, after the tests; humans were brushed off with brooms and returned to duty with no follow-up studies. There should be no problem, the government said. Twenty years later, the first and only study of test participants revealed that they were contracting leukemia at two to three times the normal rate. I have not updated the above statistics for over five years. Why? Because confronting our government’s careless and blatant betrayal of its veterans, even in statistical terms, has just become too much for me to bear. All I can tell you is that in 2007 when I last visited the National Association of Atomic Veterans website (www.naav.com) the situation was as follows: approximately 280,000 “atomic veterans” had applied for medical benefits based on exposure to nuclear radiation. Of that number, just 50 claims were approved. Time was running out for them. Fewer than 20,000 of their ranks were left. Many had cancer. Most were older than 75. The story of these “atomic veterans” and how they were denied medical benefits is old news, and it has always been increasingly difficult to attract public attention to their plight. “We covered that story years ago,” is the typical response from the media. But we should keep trying, because I believe any period in history is directly connected to the present. It’s all a matter of identifying the relevant issues and connecting the dots. In the case of the atomic vets, the government grossly understated the danger of radiation during atomic tests; misled the participants into believing that they were adequately protected from the effects of that radiation; and worst of all, broke the sacred vow traditionally made to veterans, namely that they will receive medical care for service connected disabilities for the rest of their lives. These days, Iraq and Afghanistan still occupy center stage; although one has all but departed, and the other is preparing to leave. Meanwhile, even the strongest supporters of those conflicts now admit that we underestimated the resolve of the insurgents who routinely took American and Iraqi lives through car bombs and other terrorist activities, and that both wars took/is taking far longer than anticipated. Meanwhile, during the Iraq conflict shortages of critical safety equipment like bullet proof vests and vehicle armor was a common problem. Underestimating the threat and inadequate protection? Connect the dots! And what about the returning veterans whose bodies and minds were shattered by the trauma of combat? Will we keep our promise to provide them timely and adequate health care for as long as it is needed? I’d like to think so, but the past is not encouraging; and the future does not look promising. After all, it was not that many years ago that revelations about poor living conditions and bureaucratic delays at Walter Reed Army Medical Center forced the resignations of three high-level Army officials and led to a review of the vast network of clinics and hospitals run by the Veterans Affairs Department; and the Pentagon was investigating allegations of inadequate medical treatment and unsanitary conditions at a veteran’s nursing home in our nation’s capital. As a retired military officer and loyal American, I fully support our armed forces. They voluntarily put themselves in harm’s way every day and do a remarkable job. Why? Because they love their country and believe they are doing the right thing. All they ask in return is that we are always up front with them and always keep our promises. It’s not very much to ask considering what they do for us. Who Decides When a Horse Is No Longer Useful? 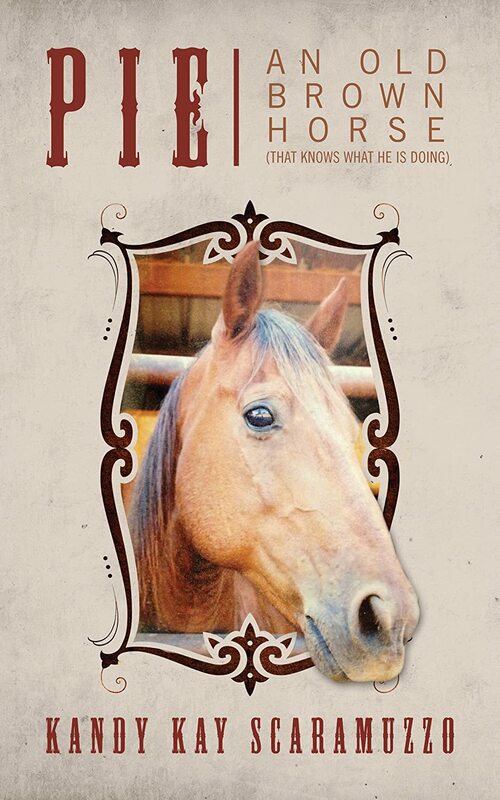 This five star Readers' Favorite is the story of Pie, a working ranch horse well past retirement age. When he was injured, he was considered used up, with nothing left to give. At the mercy of those who owned him, he was sent off to be sold or destroyed, depending on his ability to recover. But Pie knew something the ranch owners didn't know: he was far from useless. This book tells the story of a horse who still had heart and soul and strength to give, and shares the amazing things he did in the second part of his life. Pie is truly one of the great horses, and you will get to know him and his amazing spirit as he tells you his tale as only he can, from his point of view. You'll be among the many people whose lives he touched, as you join his remarkable journey to prove that every animal deserves the chance to age with grace and wisdom. Kandy Kay Scaramuzzo is a seventh generation Texan who has her own brick at The Cowgirl Museum. 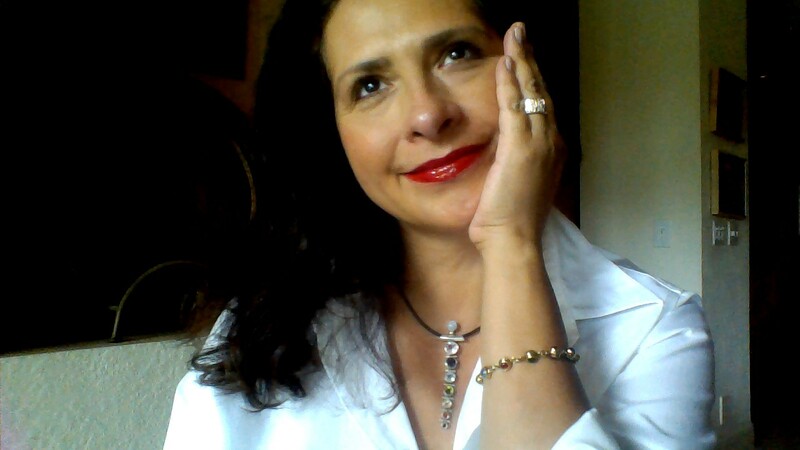 She has taught in alternative education for over twenty years. Ms.Scaramuzzo is a member of the 2012 Strathmore's Who's Who. She has a BA in Criminology and MAedCT. She works in horse, dog, cat and snake rescues. Ms. Scaramuzzo has been a tester observer for therapy dogs for nine years. She ran a therapy horse riding program for autistic children for five years. She has been a recognized animal behaviorist for over 20 years. This is her first book about an exceptional horse. She feels it is important to give back to maintain the balance of a civilized society. “Davy, Davy Crockett, king of the wild frontier…” This always pops into my head when I think of Davy Crockett. It is the beginning of the theme song from the Davy Crockett movie by Disney starring Fess Parker. It is funny because after that first line, my mind goes to the lyrics to the Daniel Boone show also starring Fess Parker. There is a minor bit of confusion there, but it is harmless. In no way does it harm the reputation of either Davy Crockett or Daniel Boone. They were both great men by their own rights. This brings to mind the confusion surrounding the death of the actual Davy Crockett. This was first brought to my attention at a workshop I attended dealing with Texas History. The presenter got up there and started their lecture off with “Everything you know about the battle of the Alamo, is incorrect”. They also went on to state that everyone that fought at the Alamo was a coward, especially Davy Crockett. Since I am a 7th generation Texan and raised on the tales of the Alamo, that was a little hard for me to swallow. The presenter continued with Santa Anna was the real hero. He was a perfect gentleman that stomped the cowards at the Alamo in record time. They also stated that Crockett and his men were captured and taken to Santa Anna who laughed hysterically as they begged and pleaded for their lives. After having enough of the pleading, he ordered them decapitated, which he watched with glee. It was at that point I left. I never gave it another thought until this blog topic showed up. It got me to thinking about that fateful day so long ago when my Alamo innocence was shattered. It was time to see what I could find out. I went to several book stores and checked their Texas History books on the Alamo. They all said there were no survivors. I then went to the school and checked the history books, same thing no survivors. So what is going on here? I updated my search and went to the internet and there I found some discrepancies. One account was that a servant identified the bodies of Travis, Bowie and Crockett after the battle. Another account said a member of Santa Anna’s unit kept a diary that was found later that said seven men were captured and later killed in Santa Anna’s presence. It went on to say they died bravely as they were stabbed and beaten to death. Yet another account was from a woman that was at the Alamo, and she said Bowie, Travis, and Crockett’s bodies were all identified at the Alamo. I was raised that the Alamo was a significant part of Texas History and all the men who died there should be respected as heroes. Despite the confusion I found on the internet, I will continue to believe their heroism is a true thing, They came from all parts of the country to help fight for something they believed in, even though it wasn’t their fight. Whether or not Crockett died in the actual battle or afterwards really makes no difference to me. He and his men faced odds beyond what could be fathomed by the likes of us today and died for what they believed in. Good luck finding that kind of heroism today when we can’t even get someone to let us change lanes without road rage. History can be found to be wrong, or an interpretation of it could be incorrect, but many times it is just the small details that were remembered differently, unless there was cover up involved. It is a well-known fact that eye witness testimony is unreliable at best. Seems to me that unless a professional is recording the information, it is best to take personal accounts as just that, personal. Everyone sees everything differently because of our different backgrounds and experiences. I’m sure that there are people who would not see this discrepancy in Crockett’s death as a big deal, I however, found it very important since this is part of my personal history. I’m quite happy with myself that I left the workshop without saying anything. Obviously that person had their own opinions, it is sad that some would take what they said at face value. I can only hope that if it happens again, whoever hears such stuff will do what I did and check it out before they draw their own conclusions. In the 1990s as I searched for information on Anthony Crossley walking from one used book store to another in London. I heard; "An Etonian with published poetry I never heard about? Impossible!" "If I have not heard of him, he did not publish." Finally at the Royal Albert Hall Poetry Library I finally found one of Anthony Crossley's books Prophets, Gods and Witches, I could take notes but not photo copy anything. Imagine the fun I could have had with a digital camera? Here you go, he does exist! Today via e-Bay and many others resources I find it hard to believe that any book would be that hard to find, of course we can always also find erroneous information. This book took many liberties with Anthony Crossley and had blatant inaccuracies. The most notable was on page 144 second paragraph. Where he stated that Anthony Crossley "teetered on the brink of the Focus". In the book Mr. Irving's Assessment of THE FOCUS is that of a nefarious Zionist group. The problem with this is that Anthony Crossley was a well known advocate for the "Arab Cause" in Regards to Palestinian territories. David Irving presents a wealth of hitherto suppressed information that shows a shockingly unfamiliar portrait of the great statesman, Churchill. Readers will discover a power-hungry leader who prolonged the war to advance his own career. 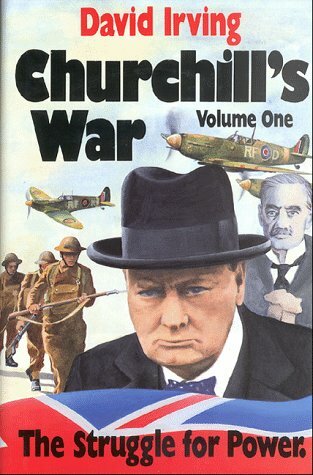 This is a fascinating, exhaustive investigation of Churchill's intrigues and deceptions before and during WWII. This is a savage debunking of Churchill by the world's most popular revisionist historian and author. 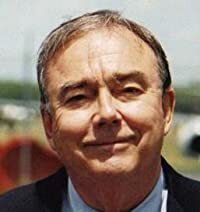 John Charmley has strong views that can be agreed upon or disputed in Chamberlain and the Lost Peace as to what might had been if England had not gotten involved in WW II. In modern day America we often wonder what the world would be like today if the war in Iraq had never taken place. Those who strongly supported the war claimed that much good came out of it including The Arab Spring when that was popular. 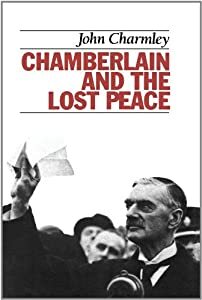 On page 150 John Charmley explains how many of the various MPs who opposed the Munich Pact fared politically. In the book it is stated that Anthony C. Crossley lost his seat in 1945. My copy is a first edition, perhaps later editions have been revised with accuracy. They say a picture is worth a thousand words. 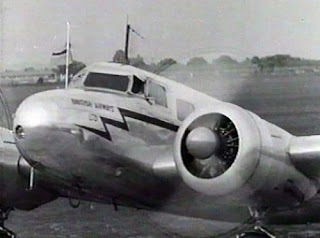 I used the image of a Lockheed 14 on my website to show the logo for British Airways LTD. 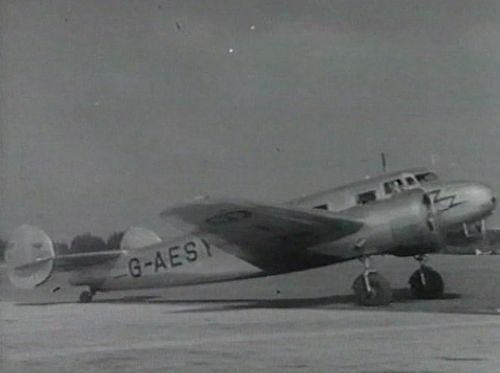 I never claimed it was the REAL plane but pictures can lead us to assume, for the more careful curious followers, I do explain it is not the G-AESY. In the course of the years I have found various images of the G-AESY. However I recently found one, that could add a great twist to the tale...if it is accurate. Vintage stock footage and millions of stock photo images comprising one of the world's largest royalty-free archival footage collections. All broadcast quality and available for immediate download in HD and SD formats, including professional screeners. I recently found the images below on-line. While sifting through the files on the G-AESY I never found any mention of NEVILLECHAMBERLAIN using the G-AESY. 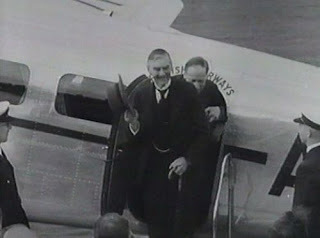 To my knowledge he flew on Lockheed 14 he travelled by plane for the first time during the Munich crisis of 1938. COPENHAGEN, Denmark, Aug. 15.--Samuel J. Simonton of Allentown, Pa., and C.A. Castillo*, a Mexican, both representatives of the Standard Oil Company of New Jersey, and Anthony C. Crossley, a member of the British Parliament, were among five persons killed in a plane crash in Denmark today. It is hard to imagine that in the 1700s when Voltaire stated that “History is the lie commonly agreed upon” He could envision the technology or access to data and communication that we enjoy in the 21st century. With science able to test DNA, Carbon Dating and surely resources that are well beyond the grasp of my rather un-scientific mind; much of what can be scientifically disputed strongly affects our understanding of the past. With technology offering computer simulation systems that help give valid portrayals to much disputed events such as the Kennedy assassination. We can re-enact what past generations could merely imagine.I personally cannot even figure out my smart phone, so surely here a wiser reader can add multiple examples that escape me. Today I watch sports in amazement as Hawk-Eye systems replay and usually deny possibilities of disputes that so colored sports in my youth. I was born the same year as John McEnroe and part of the entertainment was waiting for the inevitable “You cannot be serious” and the fun of arguing with friends if it was in or out. Today we are immediately informed and so many of us either through reading or video love to keep informed. What was the percentage of people who could even read in the 1700s? It is not just a question of the percentage, but their place in society as education and religion were so deeply interconnected. In Voltaire’s era there is no doubt that history was limited to what was written by great powers; religious or political. In that era history’s voice was that of the victors; since those that lost were imprisoned, dead, or considered irrelevant. Today no-one is too small to have a voice, technology has given all of us the power to be relevant. We live in an era in which anyone curious enough to seek, can usually find information in any subject. Information can be just as easily shared with a few key-strokes, an attachment, or a post. I am far too verbose but those with the gift of the succinct in 140 characters or less have gotten the world’s attention with a quick tweet. In this Golden Age of information literally at our fingertips I wonder how much of this is helping us fill in historical rifts? How much of it is creating an overload of mis-information? Information that all can question and debate. In my personal search and research for THE BRIDGE OF DEATHS I have seen many data bases change information that was incorrect. In the 1990s when I began my quest into the crash of the G-AESY reputable sources were full of inaccurate information. As an unquestionably insecure individual; insecure about my absolute lack of knowledge about 1939, I checked and re-checked my facts seeking original sources if I could, or comparing a variety of sources if the original was not available. When I was a student in France in the late 1970s a professor pointed out that my choice of Newspaper was limited to a right wing publication, he recommended I also purchase the left wing paper and compare notes to form my own opinion. History books are often influenced by the political leanings of those who write them. In the early 1990s I married into a family with strong perspectives that were very different from my own. 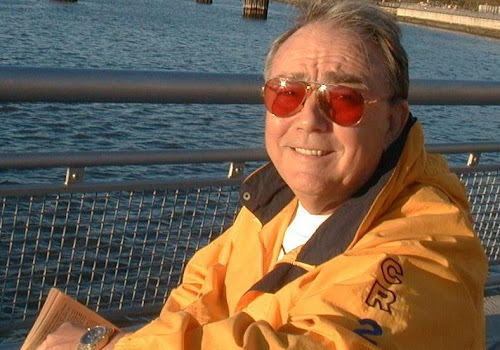 My father-in-law was a man of strong opinions yet infinite wisdom and willing to listen, he often said; "There are two sides to a story and then there is the truth." Having the courage to explore diverse sides of a story in regards to the past may well help us become a more open-minded society in the present. I will use my week in IS HISTORY THE AGREED UPON LIE? To share a few of the discrepancies I found in my quest some that I have found recently and others early on in my research. There is so much available to us, I hope that every inquisitive reader out there taps into their inner detective or researcher and that the wonderful posts by the guests excite a curiosity and a spark to uncover and fill in rifts in our past and help us communicate better in the present.